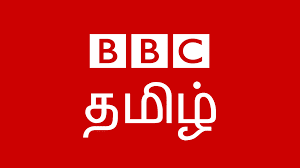 BBC Tamil News Radio Live Streaming Online . Listen latest news from British Broadcasting Corporation . This Channel is broadcasting from United Kingdom . Please wait for 30 Seconds ( Stream will start automatically ) . In Mobile Press Play button to start Streaming . BBC Tamil News is part of BBC network. It broadcasts in Tamil language from the headquarters in London, UK . Its programming is a mix of various subjects, including sports, science, arts, culture, news and weather updates.